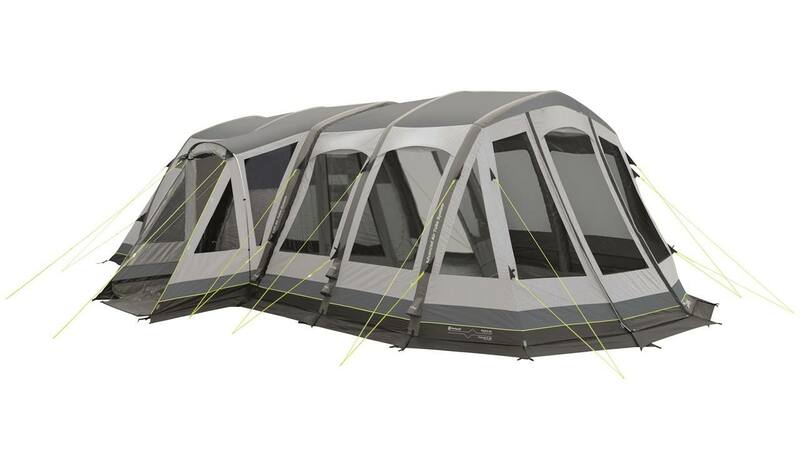 A great versatile inflatable tent that’s ideal for a family of four. Good for weekend camping or longer camping breaks. 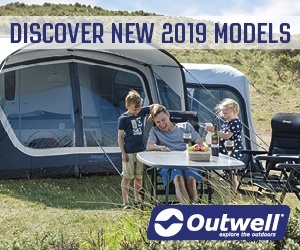 The Outwell Tomcat 5SA is a great design for a family of four, though you could squeeze 5 in if you had to. 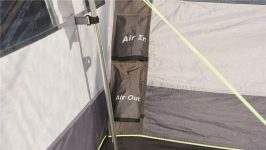 This is an inflatable tent in the Outwell Smart Air range, which means you get a single inflation point and additional air tubes to support the tent. 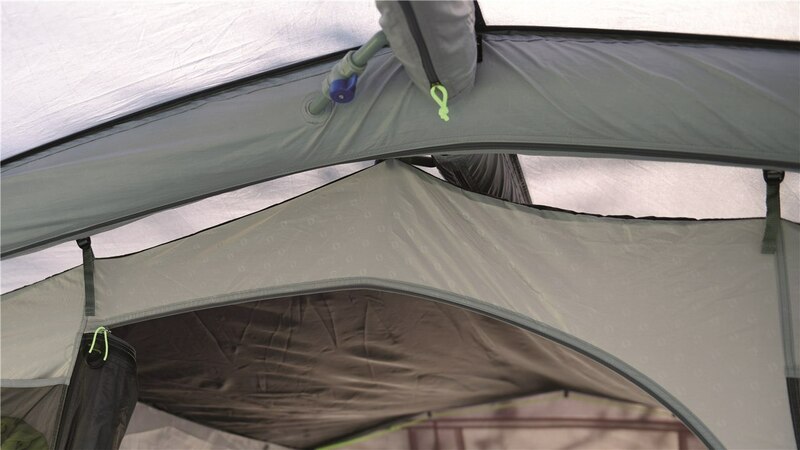 I really like this tent, with its big front canopy and sheltered side porch, making it an ideal all-weather tent, with plenty of protection from the elements. 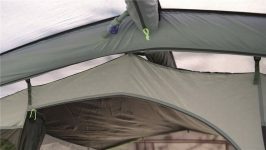 It’s also not too big, making it easier to use for just a night or two at the weekend (though it still weighs 35kg).  If you did want more space for longer camping holidays, you could also get a front awning for it. Some other features in the Smart Air range include longer bedrooms than standard and darkened bedrooms to help improve sleep. 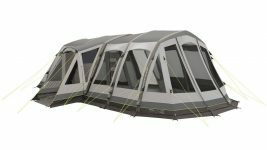 Comes with a great canopy you can attach to the front of the tent, plus a useful sheltered side entrance too. 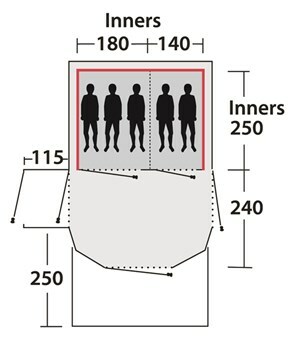 It's slightly smaller than some larger inflatable tents, but it's still 35kg with a pack size of 44x83 cm, so check you can easily transport it.